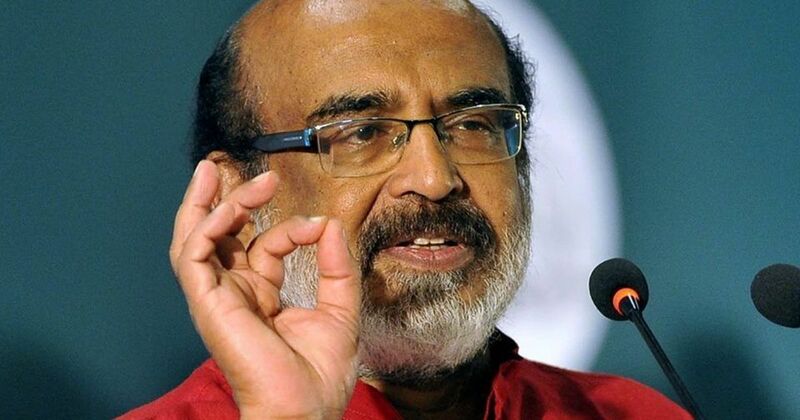 The finance minister said the Modi government must compensate Kerala if it rejects UAE’s offer while the CM said the state will talk to the PM if needed. Kerala Chief Minister Pinarayi Vijayan and Finance Minister Thomas Isaac on Wednesday said that India, by law, could accept financial aid voluntarily given by a foreign government in times of a severe calamity. They cited the National Disaster Management Plan’s chapter 9, which deals with international cooperation. “Right now only talk is happening, let us see what happens,” Vijayan said, according to ANI. “If need be, we will approach the Prime Minister and have a discussion on it,” The Indian Express quoted him as saying. Their comments came after a report in The Hindu, quoting unidentified officials, said that India may turn down an offer of Rs 700 crore from the UAE for flood relief work in Kerala because of a 15-year-old convention on accepting foreign aid. The Ministry of External Affairs is yet to announce its stance on the matter. Chapter 9 of the National Disaster Management Plan says that the Union government, as a matter of policy, does not issue any appeal for foreign assistance after a disaster. “However, if the national government of another country voluntarily offers assistance as a goodwill gesture in solidarity with the disaster victims, the central government may accept the offer,” it says. The Ministry of Home Affairs is then required to coordinate with the Ministry of External Affairs, since the latter is primarily responsible for reviewing foreign offers of assistance. “In consultation with the concerned state government, the MHA will assess the response requirements that the foreign teams can provide,” says the chapter. On August 18, Prime Minister Narendra Modi had announced an assistance of Rs 500 crore. On Monday, the Centre declared the floods in Kerala a “calamity of severe nature”. At least 223 people have lost their lives in the rains, floods and landslides in the state since August 8 and more than 360 people since May 29. Congress leader Oommen Chandy on Wednesday said that reports of the Centre rejecting foreign aid were disappointing, reported PTI. “If there exists any obstacles against the acceptance of foreign financial aid, kindly look into the matter seriously and bring in suitable modifications,” the former chief minister wrote in a letter to Modi. 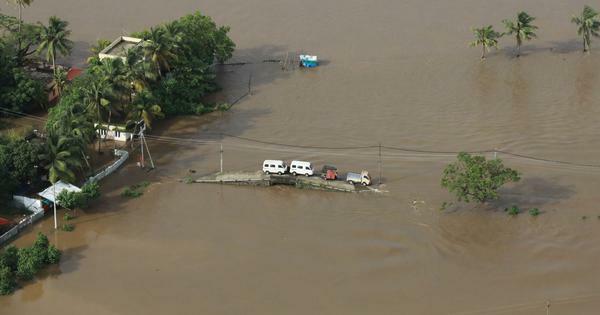 On August 18, UAE Prime Minister Sheikh Mohammed bin Rashid Al Maktoum had tweeted, “The people of Kerala have always been and are still part of our success story.” He said that the country had formed a committee to begin offering relief to those who were affected. Banks in Kerala will reschedule loans for those affected by the floods, reported PTI. On Wednesday, Canara Bank Chairman TN Manoharan and its Executive Director and State Level Bankers Committee Chairperson PV Bharathi said banks would not charge affected customers for debit cards and cheque books, among other things. “This will come into force immediately and this facility would be available till October 31,” Bharathi said. The SLBC also declared a moratorium on education loans for six months and on all other loans for a year at an emergency meeting on Tuesday. The committee also decided to reschedule loan repayments for five years. Union minister Kiren Rijiju on Wednesday said that all donations made to the Prime Minister’s National Relief Fund and the Kerala Chief Minister’s Distress Relief Fund will be tax-free, reported PTI. He added that donations given to NGOs to help out those affected by the floods in Kerala will get an income tax rebate of 50%. All contributions to the Prime Minister’s National Relief Fund are exempt from income tax under section 80(G). “For NGOs, it depends if they have exemption under the Income Tax Act,” said Rijiju.